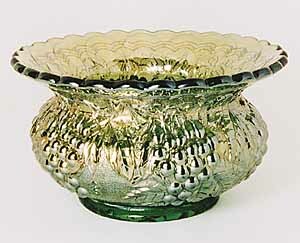 There are three reported Imperial Grape spittoon whimsies–two in marigold and one in green. 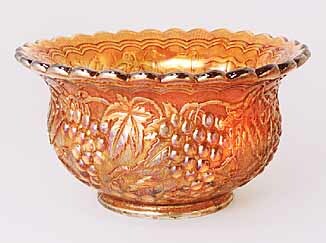 They were made from the standard 9-inch bowl and measure about 6 inches across and a little more than 3 inches tall. 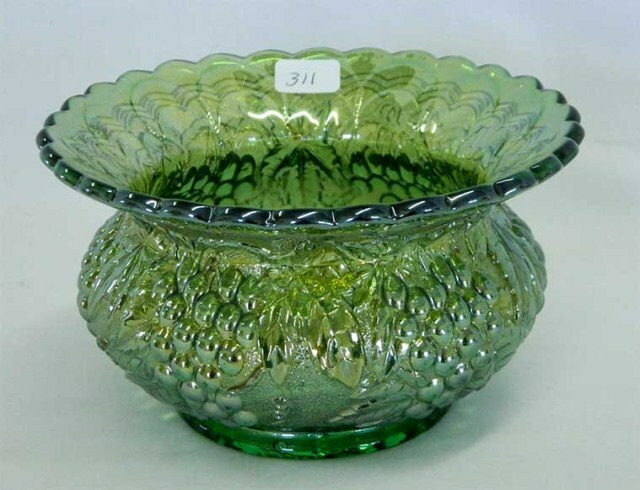 The green one sold at the International Carnival Glass Association convention auction in 2004 for $1,200; one of the marigold examples for $1,100 at the same auction. In 2006, a marigold example brought $1,225. In 2012, a green example with a pinpoint on the base sold for $800.